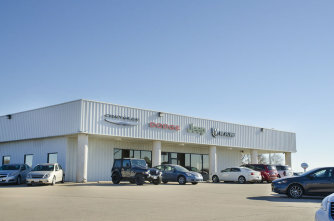 Home > Categories > Automotive > New Car Dealerships > Kranz Family, Inc.
Family-owned dealership featuring new and used Chrysler, Jeep, Dodge and Ram vehicles. Every car on our lot is certified! At Kranz Family, Inc., formerly Resnik Motors, we don't rely on tricks or gimmicks. Our focus is on earning your business and trust one family to another, starting with great deals and customer service. Family owned and operated, Kranz Family, Inc. is the only area dealership where the owner appraises your trade and delivers your deal--no more going back and forth. We sell new Chrysler, Jeep, Dodge and Ram vehicles and certify every used vehicle on our lot – something you won't find at other dealerships. All the used cars on our lot are either Chrysler Certified, Kranz Family Advantage certified or BG certified, so you can be sure you're getting a car that will last. And when your car needs servicing, we offer a full-service repair department and a complete array of Mopar parts and accessories. We offer transmission repair and engine repairs on both standard and diesel models in addition to your standard oil changes, tire rotations, and basic repairs. All of our technicians are diesel transmission engine certified through Chrysler. Serving customers all over the south-central part of Kansas including Newton, Wichita, Park City, Hillsboro and McPherson, come see why a short drive could save you big bucks. Open Monday through Friday, 7:30 am—7 pm and Saturdays 7:30 am—5pm.